One of the UK’s Leading Suppliers of Blockout Labels! 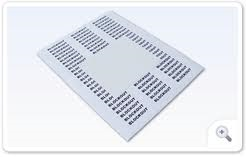 Blockout labels are ideal when you need to cover up out-of-date or incorrect information previously printed. Blockout labels have a tinted permanent adhesive, normally dark blue, grey or black that prevents the image below from showing through. A Range Of Alternative Label Products.